Current owner Sheikh Abid Gulzar has made a submission to the planning department of Hastings Borough Council (HBC) setting out his future proposals for the pier. The Council have however responded that they are seeking further information from him ‘in terms of plans and elevations necessary to validate the application’ before it is processed for professional and public scrutiny. seek a future disposal. 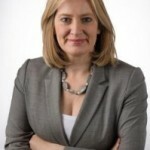 MP Amber Rudd has been supportive of the group’s request for a parliamentary inquiry into the controversial June sale, and they are seeking to engage the chairs of the relevant committees, Clive Betts MP, Rachel Reeves MP and Lord Andrew Lloyd Webber. FoHP say they have also been seeking a more co-operative relationship with Mr Gulzar, making an approach to him through a mediator to look for a way of working together for the benefit of the pier and the community. According to their monthly update to members, he appeared in favour at first but seemed then to withdraw, so they have put their offer in writing and sent it officially to his office in Eastbourne.